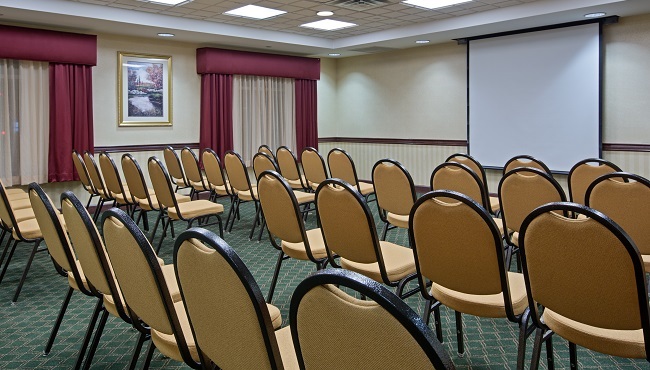 If you’re planning a reception, a business meeting or a seminar in the Hampton Roads area, consider the well-equipped facilities at the Country Inn & Suites, Hampton, VA. We offer a 640-square-foot meeting room with space for up to 50 guests, plus a projector, a wet bar and a lectern. Ask our hotel’s staff about catering, restaurants and additional room amenities. Our excellent location puts your guests conveniently near Hampton University and a quick drive from the beach. Want to feed your guests? Ask our dedicated staff for recommendations on the perfect restaurant or caterer to meet your needs. Renting our meeting space gives you access to a projector, a wet bar and a lectern. 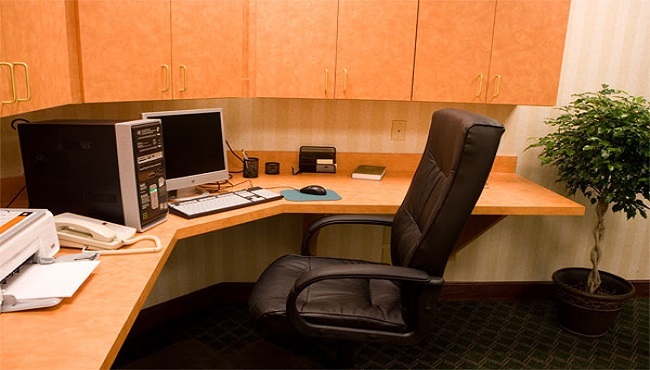 For additional audiovisual equipment, ask our staff to recommend an outside source. Rental rates are based on the number of attendees and the duration of your business or personal event. Contact the hotel directly for more details or to reserve the meeting room today.